Eat this, not that: government edition. The 2015 Dietary Guidelines for Americans (read: food pyramid) definitely took long enough to come out. Said guidelines have been endlessly discussed in 2015 and were finally released on January 7, 2016. 1. The Dietary Guidelines For Americans influence health policy. The guidelines are used by nutrition educators, health professionals, and policy makers. Why do we care? Dietary guidelines affect everything from school lunches, to SNAP (previously known as Food Stamps), to the advice you’ll get at a doctor’s office. 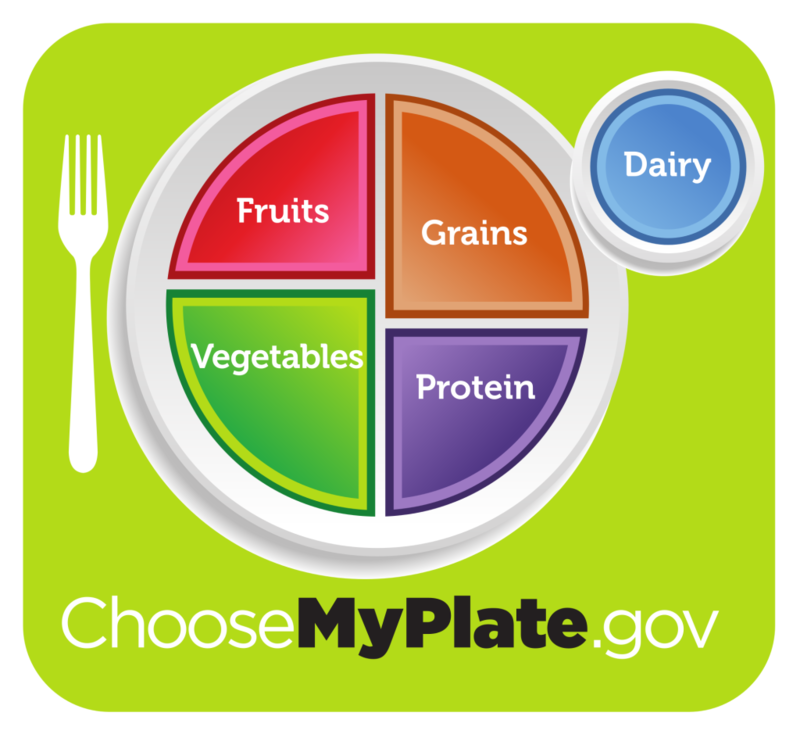 While they aren’t written for the average Joe, they inform MyPlate, which is supposed to help Americans eat right. 2. There is a recommendation to limit added sugars. This is not-so-standard. The guidelines specifically say limit added sugar to 10% or less of your daily calories. After all, Americans get an average of 22 teaspoons of added sugar per day. That’s nearly half a cup – and that’s kind of gross. The guidelines recommend cutting that number down by about half, to 12 teaspoons. Basically, the amount of sugar in a 20 ounce Coke. Check out these tips for cutting out sugar. 3. You can eat eggs without worrying about cholesterol. This year, there is no cholesterol recommendation. That’s because there just isn’t that much evidence to show that dietary cholesterol has an impact on serum cholesterol. So, enjoy your eggs (here are 25 awesome ways). They are a good source of protein, but remember to branch out for a variety of protein foods, and they taste delicious on toast. 4. They recommend choosing a variety of protein foods. While there still isn’t an explicit “cut back on red meat” guideline, there is a recommendation to focus on nuts, seeds, and especially seafood products because the average American isn’t eating enough of these. Specifically, the recommendation is to switch out meat or poultry servings for fish twice a week. Also, you may want to take a look at your carnivorous habits. 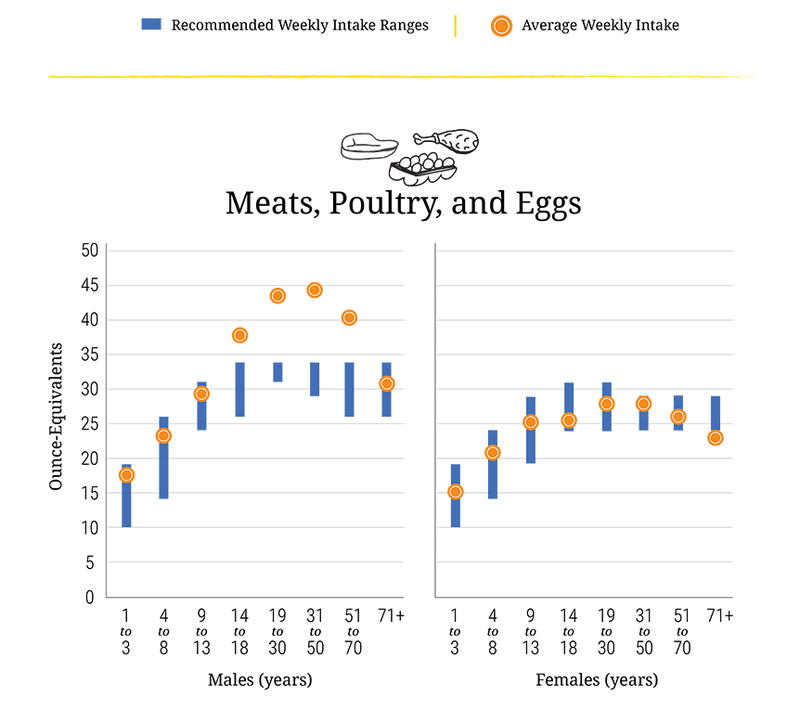 It turns out that men ages 14 to 70 eat too many servings of meat, poultry, and eggs (and sometimes too many protein foods in general) at the expense of seafood, seeds, nuts, legumes, and vegetables. If you need some meatless recipes that are sure to keep you full, we have you covered. 5. This iteration is pretty standard. They also suggest limiting the standard stuff: saturated and trans fats, salt, and alcohol.